Northern Ireland suffered a 7-0 defeat in Eindhoven against European champions Netherlands, watched by a crowd of over 30,000. 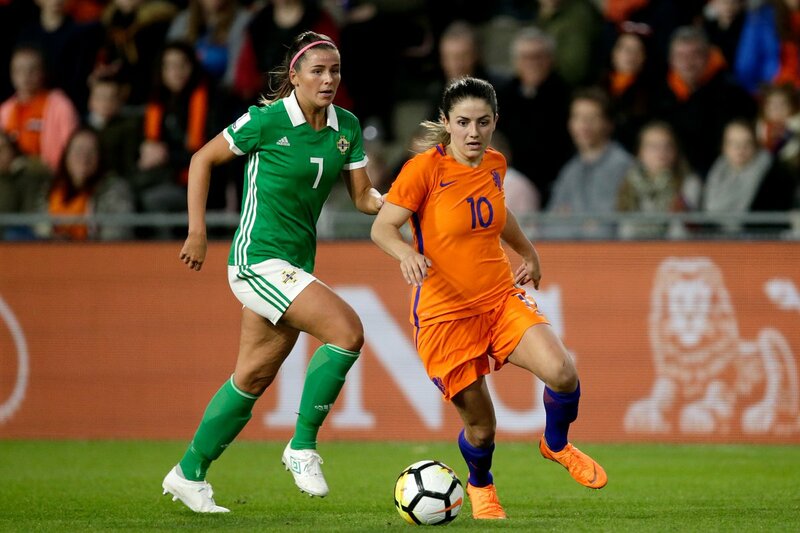 The irishfa.com reports it was a hard working display by Northern Ireland but the Netherlands were ready to perform in front of the largest crowd ever for a Women’s World Cup qualifier of 30,238. 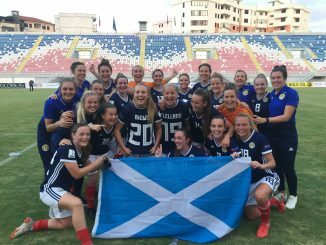 Quality shone through on the night with four first half goals sealing the three points with a double from Barcelona forward Lieke Martens and further goals each for Vivianne Miedema and Sherida Spitse. Further second half goals from Shanice van de Sanden, a second for Spitse and a Billie Simpson own goal completed the scoring. Netherlands took the lead after nine minutes as Martens got her first of the evening. A cross found the Barcelona forward who found the top corner leaving goalkeeper Emma Higgins with no chance. The lead was soon doubled as Martens again found the back of the net after 17 minutes. 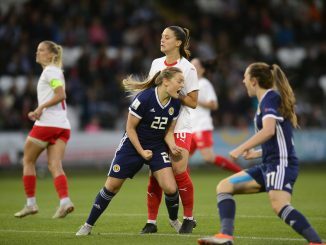 Arsenal forward Miedema added her name to the scoresheet with a calm finish which again was placed well in the bottom corner to leave Higgins little chance. A harsh penalty decision towards the end of the half made it four as the ball struck the outstretched arm of Billie Simpson from centimetres away. Spitse stepped up and sent Higgins the wrong way to make it 4-0 at half time. Manager Alfie Wylie made two changes at half time with Julie Nelson and Megan Bell replacing Rachel Newborough and Ciara Sherwood. With 58 minutes gone, Captain Marissa Callaghan chalked up the Senior Women’s first chance of the game. A cross found the midfielder at the back post but her sliding effort was blocked by the onrushing Netherlands keeper and Captain Sari van Veenendaal. The Netherlands however soon made it five as van de Sanden tapped home a loose ball from a few yards with 61 minutes on the clock. Northern Ireland continued to fight and broke with Kirsty McGuinness finding Rachel Furness but her shot wasn’t hard enough to trouble Van Veenendaal. The sixth came after 77 minutes with a great finish by Spitse who met a cross at the back post to hit home into the roof of the net. And it was an unfortunate end to the game for Billie Simpson who headed past Higgins to make it seven. It finished 7-0 as the Netherlands stay joint top of Group 3 leaving Northern Ireland fourth in the five team group. 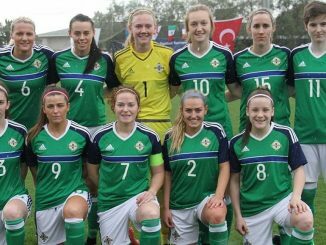 Northern Ireland next face Norway on Tuesday 10 April at Shamrock Park in Portadown. Northern Ireland: Higgins, Hutton, Simpson, Rafferty, Newborough (Nelson 45), Foy, Sherwood (Bell 45), Callaghan, Furness, McFadden (Holdaway 78), McGuinness. Subs: Perry, Nelson, Holdaway, Lindsay, Bell , McPartlan, Wilson.